Anna Teresa (Blazas) Pringle, 89, passed away peacefully at her home in Kearny, NJ on Tuesday, January 15, 2019, with her loving family by her side. She was born in Kearny, NJ and was a lifelong resident. 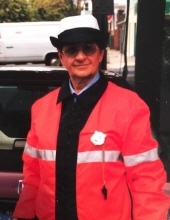 Anna worked for RCA of Harrison, NJ for 10 years, then went on to be a Crossing Guard for the Town of Kearny for 40 years, retiring in March 1, 2009. She was a lifelong parishioner of Our Lady of Sorrows Church of Kearny, where she was a member of the Choir, an Eucharistic Minister and member of the St. Anne Rosary Society. She was a proud member of the Knights of Lithuania Chapter #29 and of the LCC Club of Kearny, where she was a member of the Board and the Facilities Manager. She also worked for the Board of Elections of Hudson County for many years. Anna and her family enjoyed their summers at their home at Ortley Beach, NJ. Wife of the late Kenneth Pringle; devoted and loving mother of Kim Toscano and her husband Raymond, Kenneth Pringle and his wife Kathy, Gail Wade and her husband Mark and Jayne Policastro and her husband Joseph; dear sister of Barbara and Christine; also survived by 11 grandchildren and a great-grandson Kellan. Arrangements conducted by Shaw-Buyus Funeral Home at 138 Davis Ave. Kearny, NJ. To send flowers or a remembrance gift to the family of Anna T. Pringle, please visit our Tribute Store. "Email Address" would like to share the life celebration of Anna T. Pringle. Click on the "link" to go to share a favorite memory or leave a condolence message for the family.